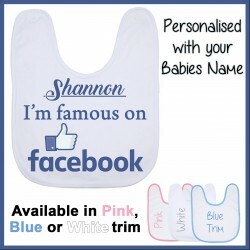 A Custom Famous on Facebook Baby Bib, printed just for your special little boy or girl. 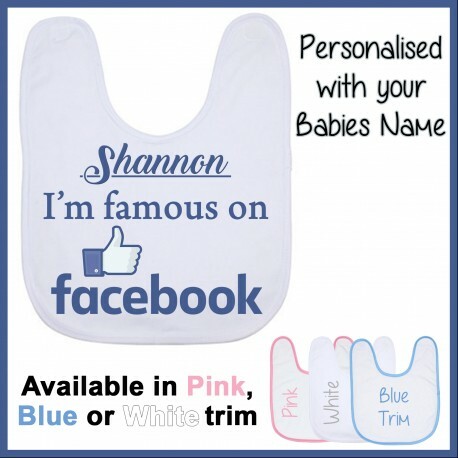 Add your little ones name to the design to make a special personalised bib. 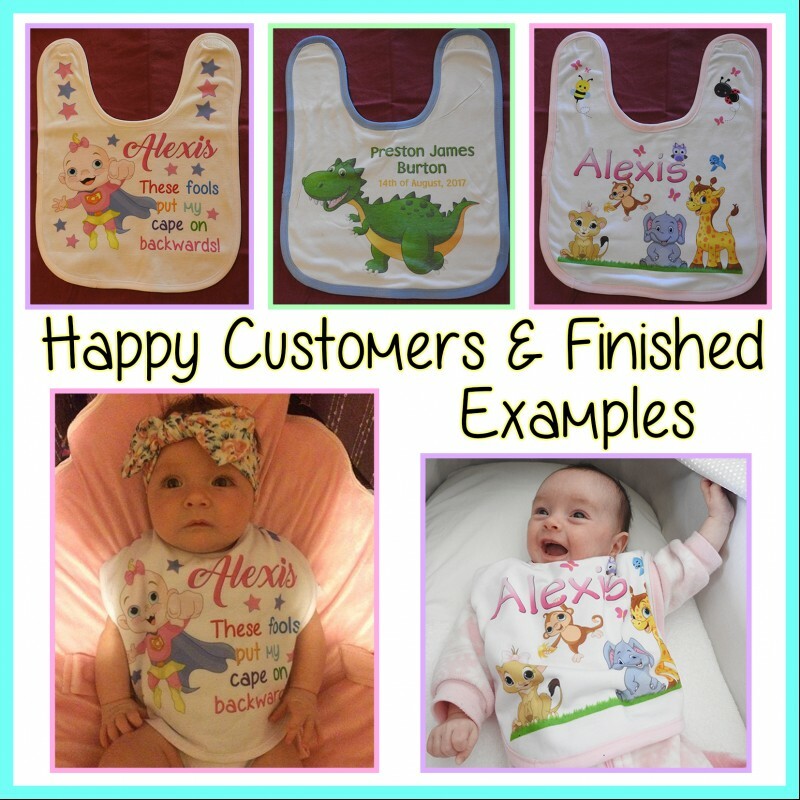 They also look great in photo shoots, or for a one of a kind bib for any occassion or everyday use. You can choose from Blue, Pink or White trim. We use dye sublimation printing on the Bibs. 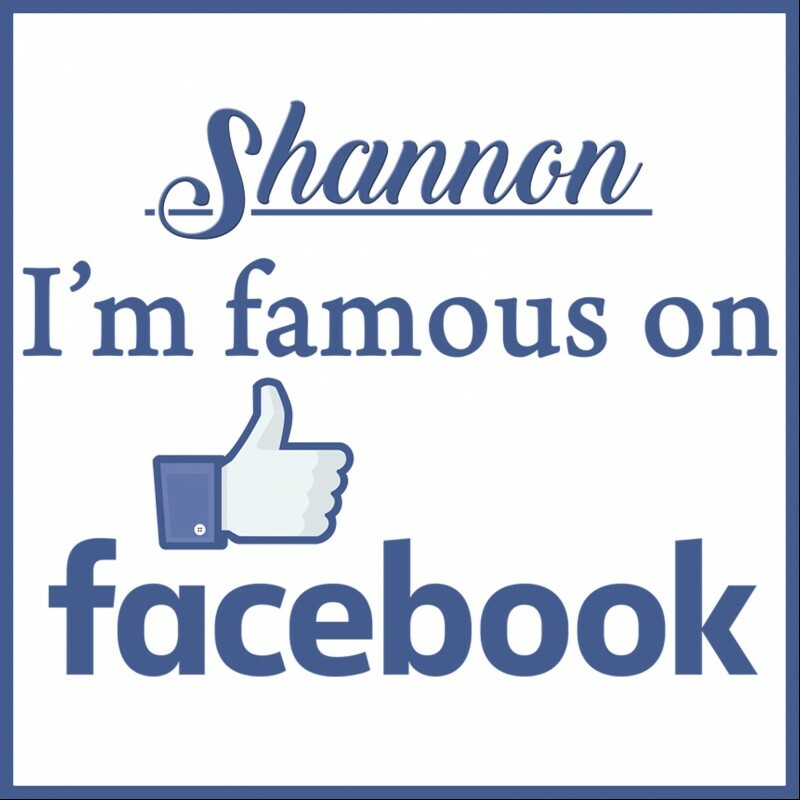 This gives a high quality result that doesn't fade or peel like transfers will. Our bibs are 50% cotton and 50% Polyester. with a Velcro closure at the back on the neck. The Bibs are machine washable. Scroll back up and choose the Trim Colour you would like on your bib from the drop-down menus.